There’s something about sitting outside around a fire pit, enjoying a beer or glass of wine, perhaps even toasting some marshmallows on a stick. A fire pit can facilitate socializing and great conversation amongst good friends, or it can be a place of relaxing comfort and tranquility. Whichever way you like to go, that burning conversation starter sure does offer many benefits, and if you can do it yourself for a mere $50, why the hell not? Since things in my life seem to change all the time, I’m always hesitant about permanent installations, and a fire pit is a prime example of that. If I get a company to bring one in I’d have to decide on a permanent location, and that’s a commitment I’m just not ready for. What if we expand? What if that turns out to be a terrible spot? What if, what if…? So instead of going crazy with anxiety, I decided to find instructions on how to build my own; more specifically, one that I’d be able to move if I were to change my mind later on down the line. So after some searching I managed to find the one. Not only is this DIY fire pit relatively mobile, but I must say, that very affordable $50 price tag is what really caught my eye at first. Time to get my hands dirty and introduce this fantastic fiery addition to my lovely garden. 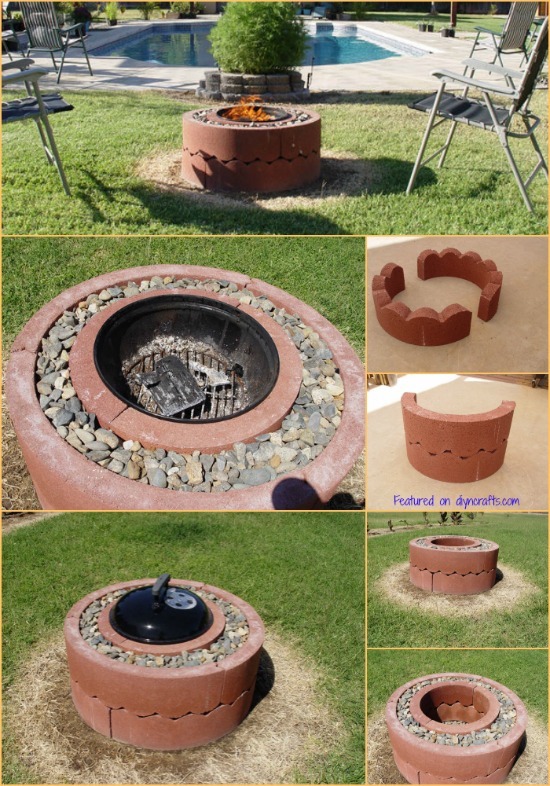 Detailed instructions available on Instructables.com $50 fire pit using concrete tree rings. I am really glad to read this website posts which includes tons of valuable data, thanks for providing such information.